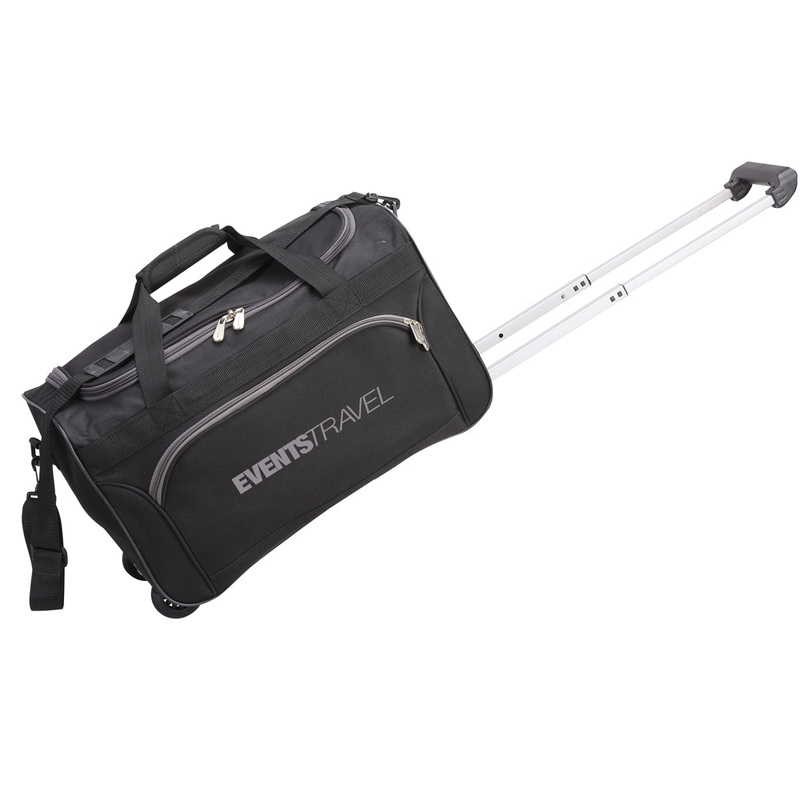 Our Rolling Duffel Bag in Black is a useful gift that clients will love for travel or everyday use. The Rolling Duffel Bag is ideal for the frequent traveler and advertises your brand wherever it is carried. It has a main compartment to store all the essentials required for your trip. A U-shaped zip pocket on the front provides additional storage space. A locking pull up handle, detachable shoulder strap, dual handles, and a webbing strap make it easy to transport the bag. Emblazon your business logo on the bag and give it away at bag expos, trade fairs, carnivals, malls, corporate and community events to attract widespread attention for your brand.